Skiing in the biggest Ski resort in Tirol!!! With 212 km ski runs, this area is the biggest ski resort in Austrian Tirol. Its three connected regions contain runs for all levels, from the very easy ones to those "for experts only". After a nice skiing day, you can of course enjoy the famous Austrian apré-ski! The hotel is located in Ried im Oberinntal, a nice town less than 10km away from the ski resorts. A free public bus to the ski resorts stops 2 minutes walking from the hotel. The hotel offers a sauna, where you can relax after a tiring day. 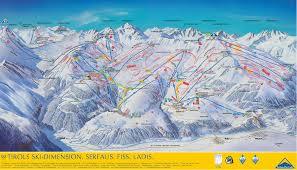 The price includes bus transfer, hotel (with breakfast and dinner) and ski pass for three days.